New Life Baptist Church is committed to strengthening family relationships, and we run from time to time the "Marriage Course". This is a 7-session course offering insight into a healthy marriage and relationship skills. Each session involves 3 or 4 short talks mixed with directed discussions for each couple to privately engage in. The Course has a proven track record of develop to build strong foundations for a lasting marriage. 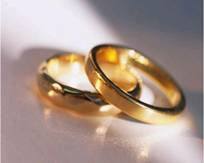 A Marriage Preparation course can also be tailored to suit individuals' requirements. Contact Jeanette and John Cattermole on 01483 232657. Bringing up children is a life-shaping responsibility. We all need to hone our skills and pick up tips and ideas that can assist family life and the nurture and care of our children's development. From time to time we run courses in conjunction with other local churches for different age groups. Each course is 7 weeks long and covers listening skills, discipline, communication, encouragement and how to be an effective role model for our children. For more information please contact Kate Whiting. Would you like encouragement for your family - delivered to your inbox?! 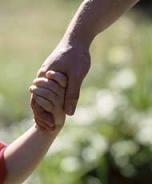 E-family is a free email newsletter from Care for the Family - written for you and your family. Sign up today at http://www.careforthefamily.org.uk/about-us/quick-registration-1-efamily for real-life stories, down-to-earth insights, and practical tips to make the most of family life.